The animation has 3 moving dots. The black dot corresponds to the Earthbound twin. The leading green dot gives the simultaneous (according to Earth) position of the traveling twin. 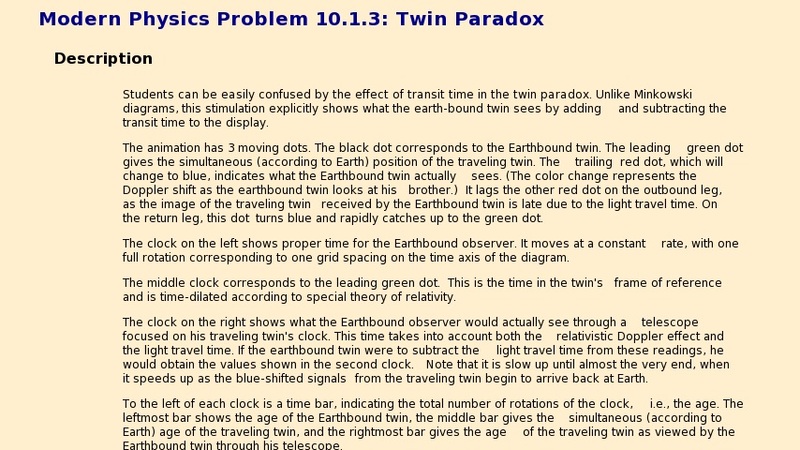 The trailing red dot, which will change to blue, indicates what the Earthbound twin actually sees. (The color change represents the Doppler shift as the earthbound twin looks at his brother.) It lags the other red dot on the outbound leg, as the image of the traveling twin received by the Earthbound twin is late due to the light travel time. On the return leg, this dot turns blue and rapidly catches up to the green dot.